Microspot on Thursday announced the release of Interiors Professional v4.1, a new version of its 3D interior design, modeling and animation software for Mac OS X. It costs $249. This interior was designed using Microspot Interiors. Developed for interior decorators, architects, product designers and others who need to visualize interior spaces, Interiors Professional lets you build virtual 3D spaces then animate them. It includes a library of almost 2,000 items and also supports 3DS or Google SketchUp 6 file importing. New to the 4.1 release is the Edit Wall tool, which lets you create room layouts by modifying existing models or drawing a rough layout, then correcting and adjusting it for your requirements. 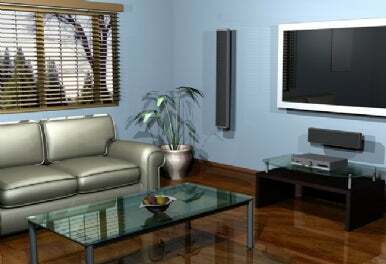 Walls can be edited in 2D or 3D, moved, varied in thickness, height and length. Alcoves can be made, and walls can be joined or split as needed. Also new in this release is a vertex editing tool which lets you subdivide and split surface geometries, and adjust elasticity. You can edit single or multiple vertices on the surface, to create complex surface editing. System requirements call for Mac OS X 10.4 or later and a G5 or Intel processor, 1GB RAM and 1GB free hard disk space. Upgrades from Interiors Profession 4.0 are priced at $55.